Yes you heard us correctly, we are now distributing the most aggressive flip flow screen on the market! The EDGE FreeFlow 186 provides two screening operations in one unit. This machine has a mat acceleration of up to 50g and the ability to run up 10% faster than competing flip flow screens. The 8’X6’ FreeFlow 186 screen allows operators to carryout tough screening tasks all year round, regardless of weather conditions. The EDGE FreeFlow screen provides an extremely effective screening solution for sticky, moist materials with a high percentage of fines. 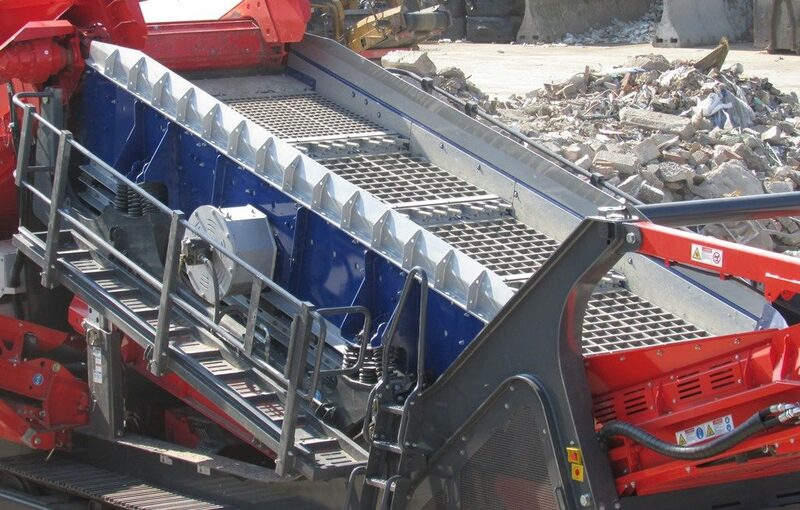 This product is a perfect fit for the processing of compost, skip waste, wood, trommel fine and construction & demolition waste. To read more about the FreeFlow 186 click here. Previous ArticleGREENROCK CONFIRMED FOR CONEXPO-CON/AGG 2017Next ArticleEDGE MC1400: THE NEWEST ADDITION TO THE GREENROCK PORTFOLIO!